Thanks! 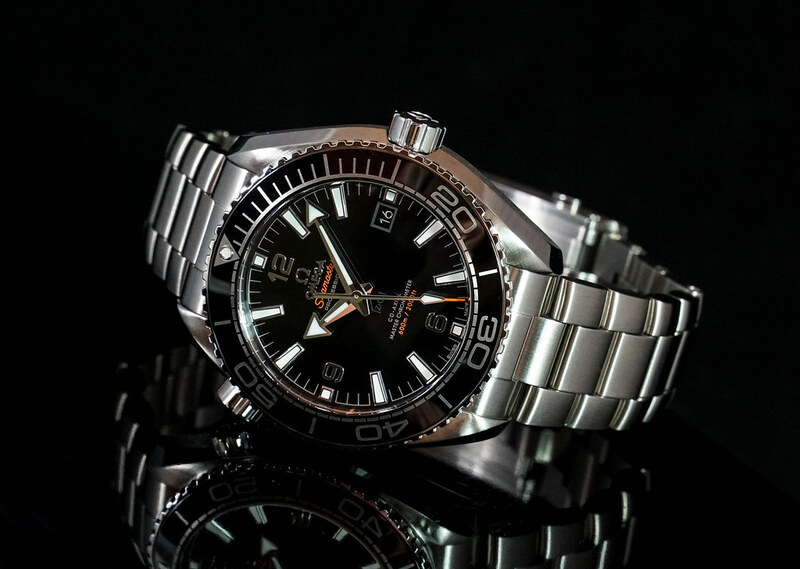 It is the current model Black Omega Planet Ocean 8900 43.5. The black ceramic dial reflects the blue of my computer screen and is actually a deep shiny black. I was worried about the thickness but it is not an issue at all, wears wonderful and balanced on the bracelet. 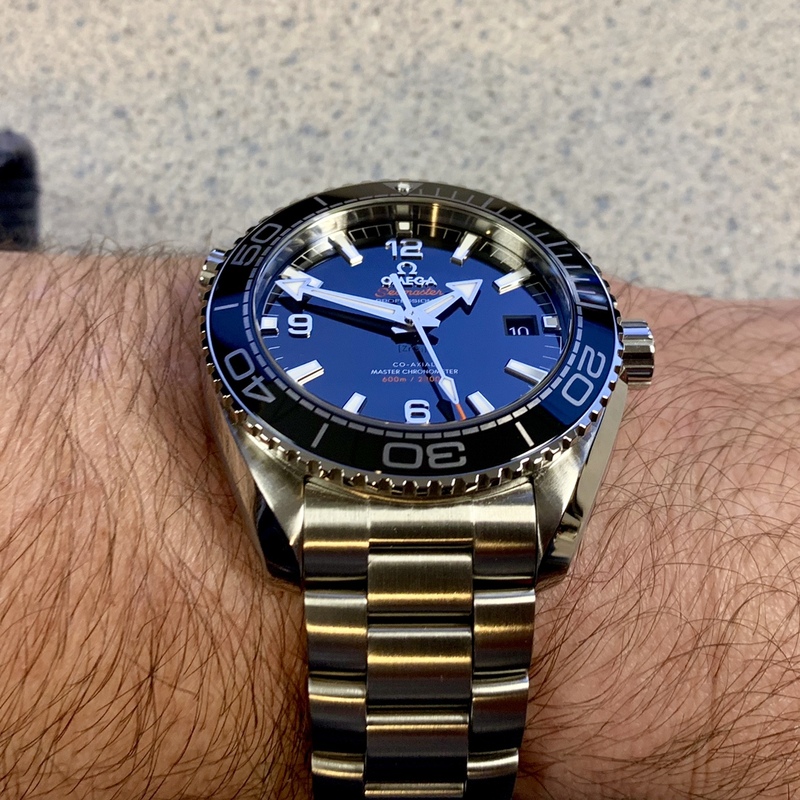 I like the wrist presence and wears like a 42mm.